If there are seasons for crime fiction, then the current one is hotter than Vindaloo. To begin at the beginning, several promising debut crime novels have appeared, such as Piggies on the Railway by Smita Jain, which is the first in a tongue-in-cheek chick-lit crime series about Mumbai detective Kasthuri Kumar. In this book, she is hired to solve a mystery in the Bollywood film industry, a world that smells alternatively of Chanel 5 and evil muck. 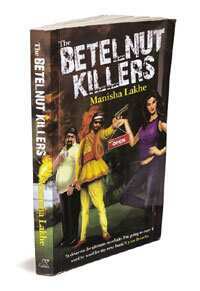 Another funny debut title is Manisha Lakhe’s farcical The Betelnut Killers about how an NRI shopkeeper in Oregon tries to import a contract killer from Mumbai to take care of the competition, which results in a big-big mess. But debutants are debutants, and kings are kings. From the king of Hindi pulp crime fiction, Surender Mohan Pathak, comes Daylight Robbery, with an attractive cover by the legendary Shelle Studio, translated into crisp, hard-boiled English by Sudarshan Purohit. 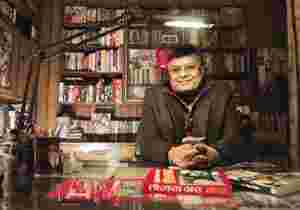 In Hindi, Pathak’s approximately 300 books have sold many-many millions of copies (or so I’ve heard), and for over three decades the Vimal series has taken Hindi readers on a virtual Bharat Darshan a la noir from Amritsar to Delhi, Jaipur to Agra and even as far south as Mumbai and Chennai. Now the rest of us are invited on-board and I am super thrilled to be able to reveal that the series will continue with several more translations; next in line is Fortune’s Ransom, which, from what I’ve been told, is going to be a much fatter novel with a complex thriller plot. 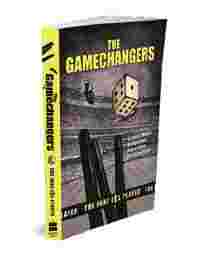 Taken together, all this means that Indian crime genre fiction may have truly arrived this season, and while none of these books quite measure up to Vikram Chandra’s 2006 masterpiece Sacred Games—absolutely undisputedly the greatest Indian crime novel of all time—they do provide many entertaining moments. So this monsoon, when load-shedding means no current in the comp or juice in the modem, those of you devoted to mysteries can skip Agatha Christie. Halfway through you’ll anyway suddenly remember who killed Roger Ackroyd. Instead get a stack of fresh Indian pulp crime and simply enjoy the power cuts. Zac O’Yeah is a Bangalore-based crime fiction writer.